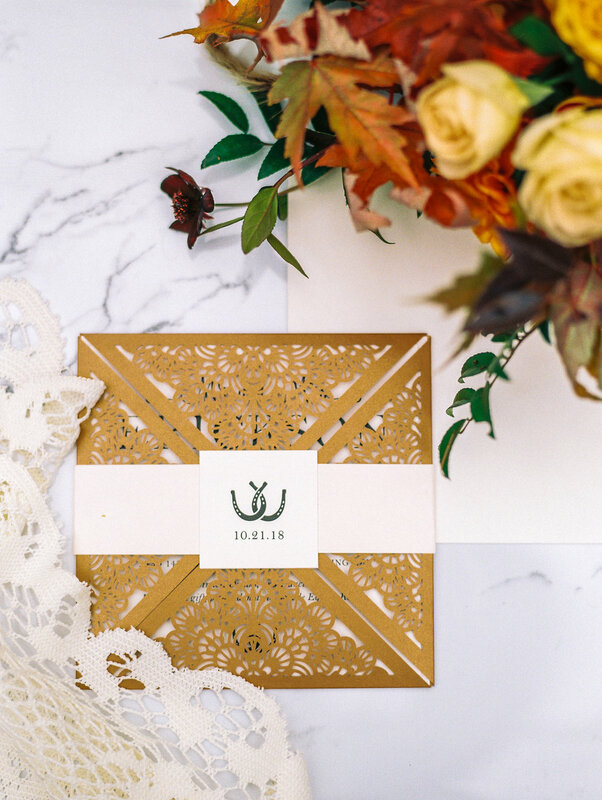 Fall Vibes: Styled Shoot — South Fork Cake Co. It's the time of year where I finally have time to catch up on stuff, you guys! 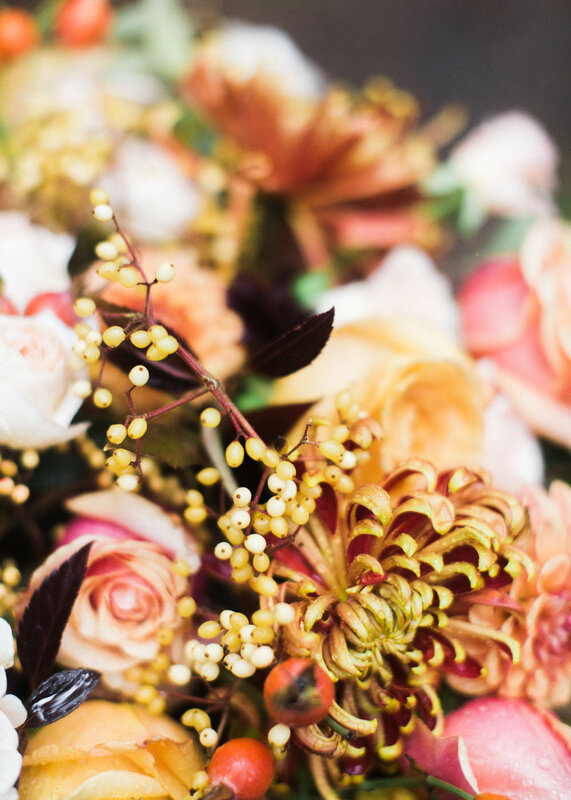 Currently, that means swooning over the styled shoots I was able to be a part of in 2017. 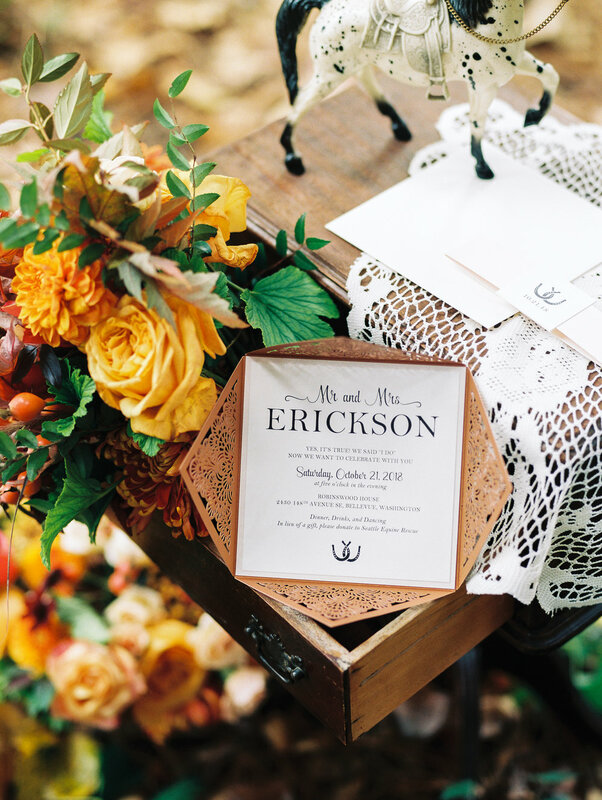 The first is this shoot that fully embraces autumn in the Northwest - pops of fiery colors on a background of lush evergreen. I am so excited to share this shoot for a lot of reasons. 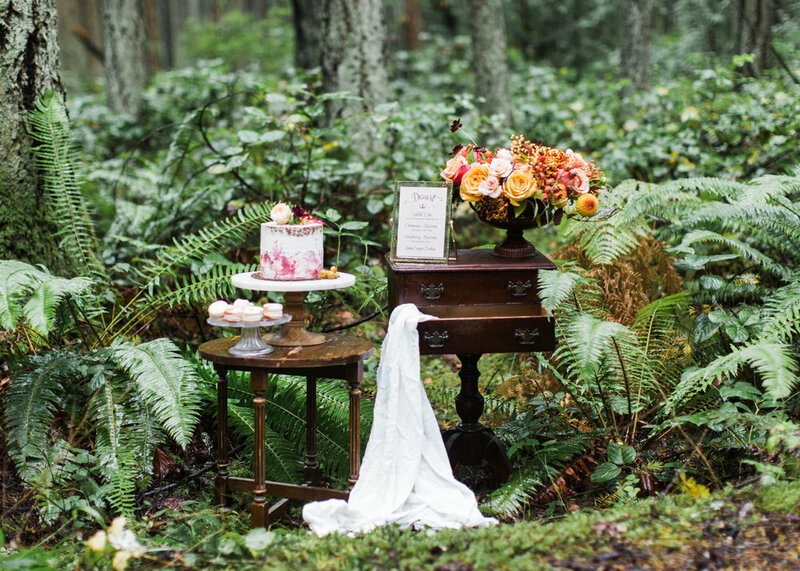 The top of the list being that it was the very first styled shoot I was ever a part of and that's pretty momentous in my book. Plus, there were straight up horses as a part of this shoot. HORSES. A big one and a little one - very exciting stuff! Now listen, this is Northwest Washington State so there was a little bit of rain on the day of the shoot, and when I say rain, I mean a full blown downpour. I wasn't actually on location during the shoot, but I'd just like to say all of our models and photographer are champs for pulling this off so beautifully. The silver lining of the rain is that it makes the colors pop in such a glorious way! 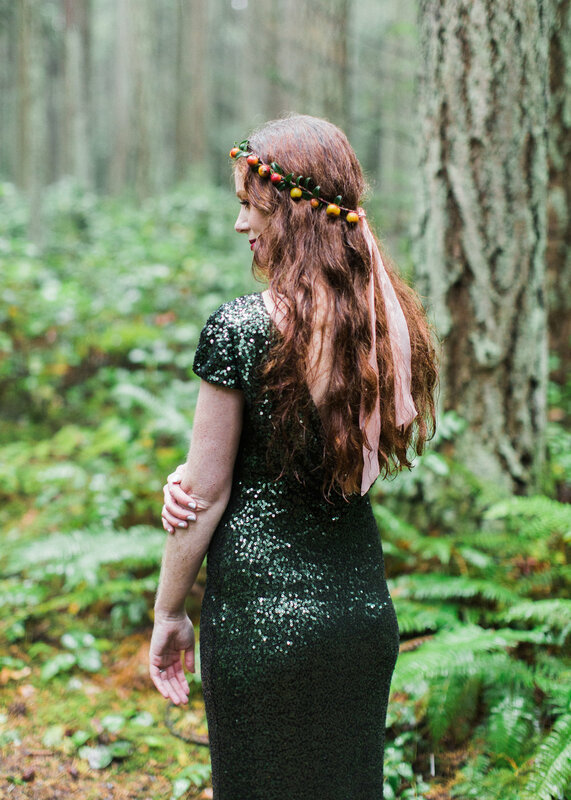 I have so many favorite details of this shoot: our model's gorgeous mermaid-y hair, the outrageously stunning flowers in the most beautiful autumnal shades, the way the photos capture the best parts of fall in an evergreen forest, the subtle details in the stationery (hi, tiny horseshoes), and the fact that there were horses. I mean, what more could you ask for?! 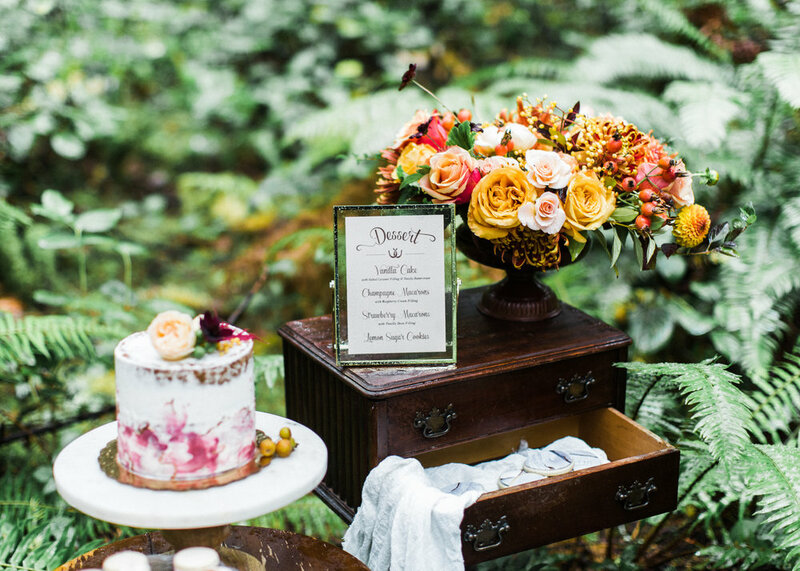 Cake: Semi-naked cake with pops of fall-inspired burgundy and subtle copper accent. Vanilla bean with salted caramel filling and vanilla bean buttercream on the outside. Macarons: Champagne macarons with raspberry cream filling with hand painted copper accents and strawberry macarons with vanilla bean filling. Cookies: Lemon zest sugar cookies topped with marble fondant, custom stamped with the date and accented with copper. Thank you so much for taking the time to check out this gallery. i would love it if you checked out the other vendors involved in this shoot and show them some love!